Now you have to face the difficult task of choosing among the dozens of surf schools in the north of Fuerteventura. Which one should you choose? We help you in a somewhat impartial way to know what to keep in mind when choosing the best surf school in Corralejo, which you should keep in mind in your surfing search. yes, any surfer is not the same; there are very good surfers, big waves, maneuvers, etc, etc … but that does not mean that they have the necessary qualifications, nor the gift of being able to teach this difficult sport to a person who has just started. That is why the experience of its teachers is one of the most important things when choosing a surf school in Fuerteventura. is another pillar of a good surf class in Fuerteventura, we always take you to the safest and most suitable spots for your level. The best beaches (beachbreaks) that depending on the conditions of the sea and the waves do not represent a danger for the new surfers, but that still have good and acceptable waves to be able to learn in a fast and safe way. , we will always have enough instructors for the determined number of students targeted for each surf class in Fuerteventura. 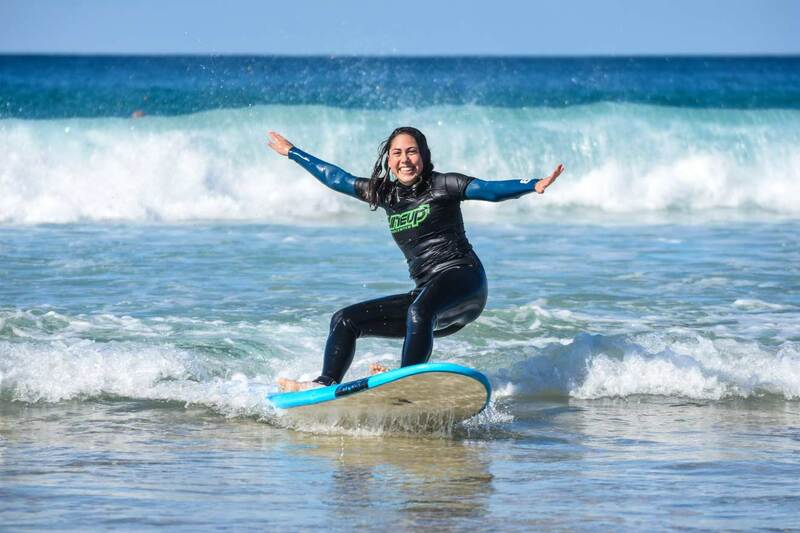 This way, each one can enjoy a dedicated class and each instructor can achieve to instill their Surfer knowledge to each one of their students. of course, must be of quality, be in good condition, a key to the safety and rapid progress of the new surfers. There is no need to buy your own equipment to get started in surfing, that is a step a posteriori once you already have some knowledge. by adopting this aproach our customers often surpass their goals and in turn get super stoked on surfing. Our customers often surpass their goals and in turn get super stoked on surfing.